Awareness-raising activities have been launched on the Costa fleet operating in the Mediterranean to support the Umberto Veronesi Foundation "Pink is Good" project for the prevention of female cancers. Submitted by: Carnival Corporation, Inc.
Informational material and details will be distributed to every cabin to inform guests about the prevention of female cancers. GENOA, Italy, Oct. 12 /CSRwire/ - Marking breast cancer prevention month, for the third year running, Costa Cruises will be supporting the Umberto Veronesi Foundation and its Pink is Good project, which aims to definitively defeat breast, uterus and ovarian cancer, promoting prevention and providing annual funding to doctors and researchers who have decided to dedicate their lives to studying and treating these diseases. During the third week of October, a campaign will once again be run on board fleet ships sailing in the Mediterranean to raise awareness about "Pink is Good": information material and further details will be distributed to every cabin to inform guests about the prevention of female cancers. This is essential in order to detect the disease in its earliest stages, with suggestions about healthy lifestyles and the regular tests and check-ups required. 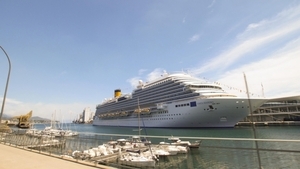 Costa Cruises will also provide concrete support for scientific research, funding a research scholarshipfor a worthy Italian female researcher, who will be awarded following a public tender procedure run by the Umberto Veronesi foundation.